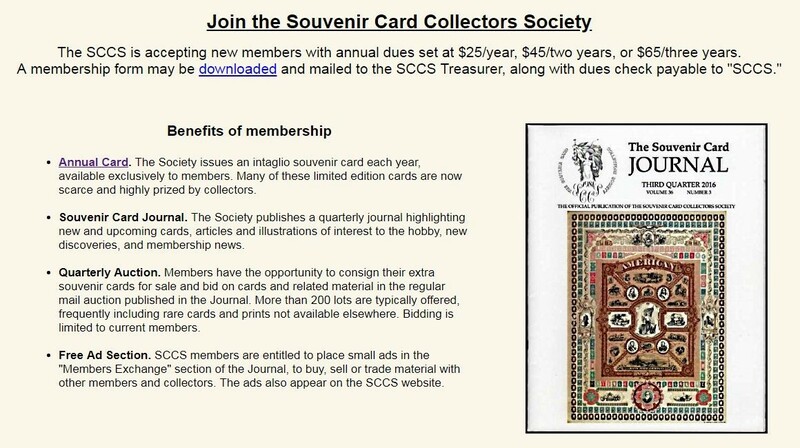 And for those that don't know, I would suggest joining the Souvenir Card Collectors Society. 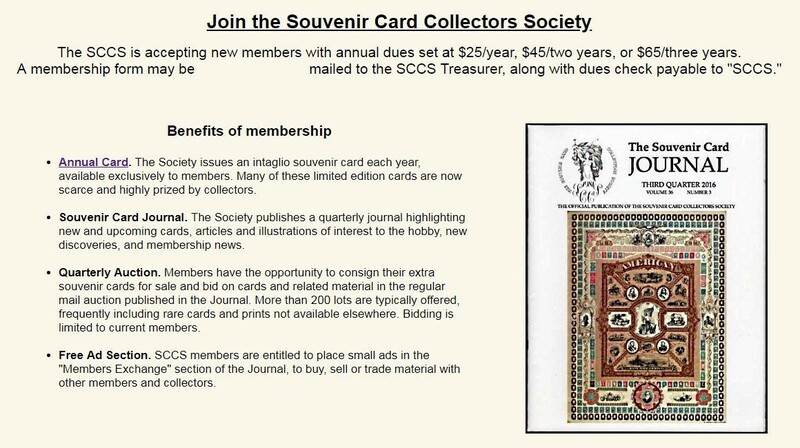 Membership Form attached below... And yes, I already joined and I have even picked up some nice cards in the recent auction. 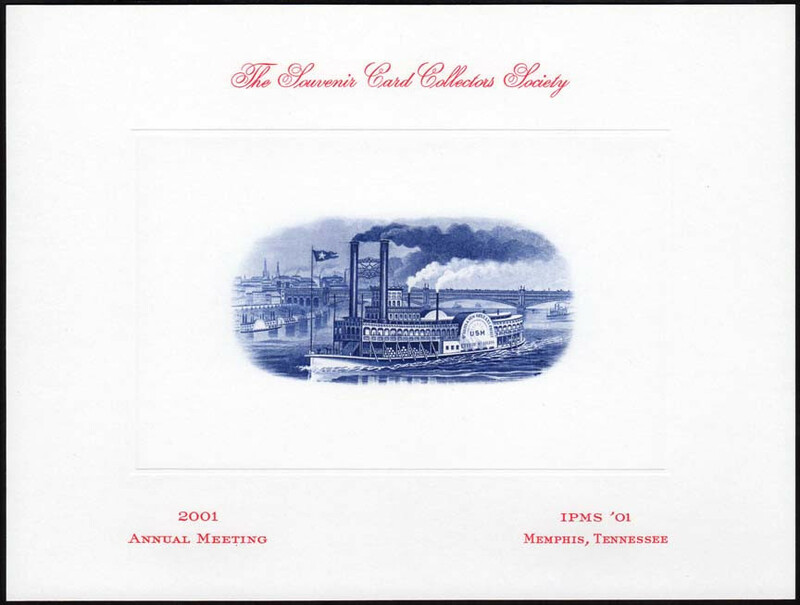 And here are a couple examples of the annual cards that go out to every current member, usually in the fall. 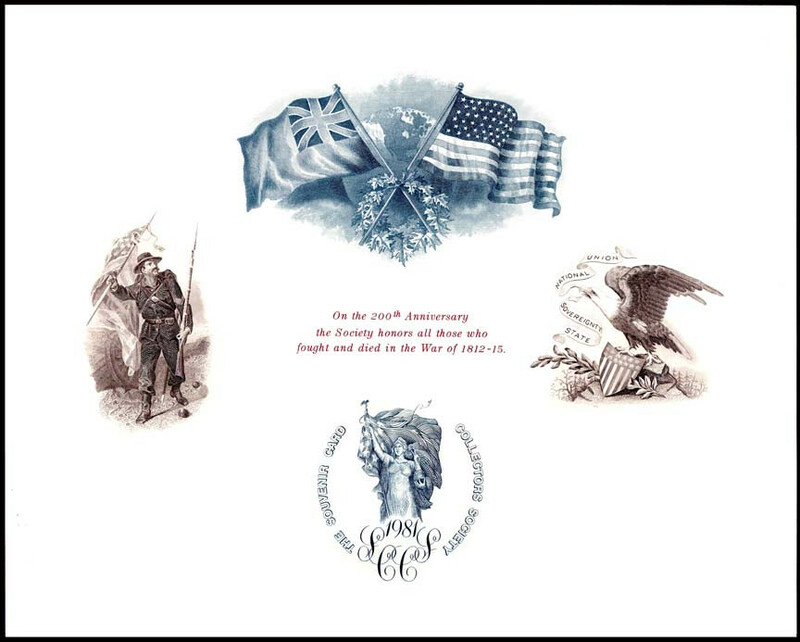 These sometimes include intaglio vignettes that have appeared on U.S. and foreign currency.